The orbital rotation of this innovative polisher simulates the circular movement of the human hand while polishing. 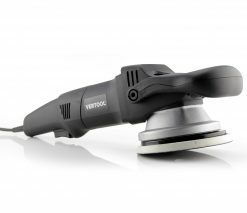 At the same time, the polisher’s highly smooth running facilitates a careful, precise finish and even offers what is necessary for hologram-free polishing. 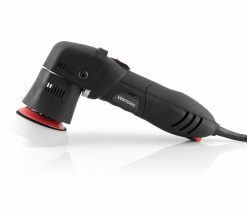 That’s just what this polisher, with its ergonomically designed knob handle, was made for. The positive drive ensures a uniform movement, even under load, thanks to constant lift. Taken in conjunction with the large stroke length there is also the possibility of removing existing holograms from black finishes. Thanks to the direct orbital drive, very little heat develops on the surface, which is ideally suited to temperature-sensitive finishes. The accelerator trigger switch and speed selection allow for a controlled acceleration to the optimal speed. Note: the machine’s orbital movement has been optimally adapted for the special back pad included with it. Your password will be emailed to your registered e-mail address.